We are developing new methods using imputed SNPs and sequences in large datasets to gain traction on the importance of rare vs. common variants, genetic heterogeneity, the importance of familial environmental effects, and the degree of non-additive genetic variation underlying complex traits (for relevant publications, visit www.matthewckeller.com). Interested candidates may contact matthew.c.keller@gmail.com for questions about the position (please attach updated CV). 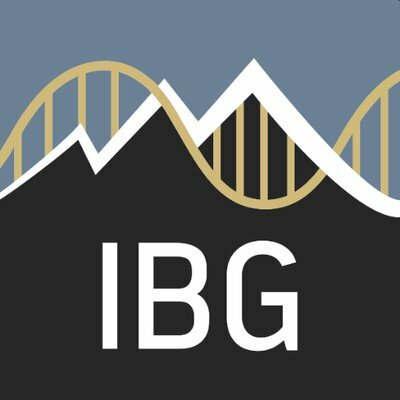 The Institute for Behavioral Genetics (IBG) is an organized research unit of the University of Colorado Boulder Graduate School dedicated to conducting and facilitating research on the genetic and environmental bases of individual differences in behavior. There is a particular interest in the genetics of psychiatric, behavioral and neurologic disorders. IBG researchers make use of well-characterized longitudinal data arising from both family-based and population-based samples. Statistical and epidemiological approaches being used at IBG include twin/family studies, genome-wide association, GREML and LD-score regression, and the analysis of sequence data. Within IBG, Dr. Matthew C. Keller’s lab uses methodological approaches of genetic epidemiology and statistical genetics that are primarily focused on understanding the genetic architecture underlying complex traits and disease. Collaborating with Dr. Matthew Keller on scientific projects regarding estimation of the genetic architecture of traits. Taking lead on scientific projects and seeing them through to publication as first author. Designing, testing via simulation, and deploying novel methods on large genomewide datasets. Writing and running scripts in a high performance computing cluster. The position is open for a 2+ year postdoctoral fellowship to be filled Winter of 2019 or after. A commensurate salary based on experience. Be Accomplished. Be Engaged. Be Boulder. PhD in a field related to psychiatric/statistical/behavioral genetics -OR- PhD in a quantitative/computational field. Experience with the R statistical language and UNIX. A record of scientific productivity. The ideal candidate will have experience working with large whole-genome datasets, have a working knowledge of some of the standard software packages in the field (e.g., VCFtools, PLINK, GCTA, OpenMx, etc), and have experience in testing novel models using simulation approaches. This entry was posted in Uncategorized by Kristine Marceau. Bookmark the permalink.